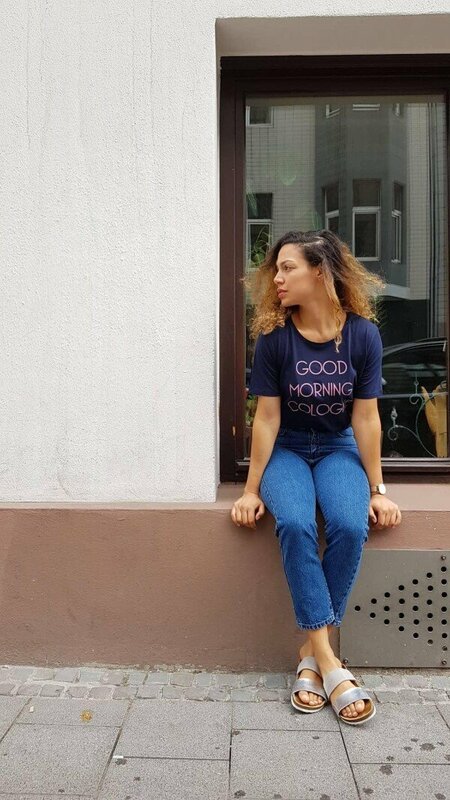 The young label Good Morning Cologne, born out of a sense of life, is based on the fusion of cosmopolitan affinity, fashion and individuality. Inspired by the cultural environment and the desire to interact, Barbara Petry creates a label with personality. The cosmopolitan lifestyle of the designer forms the center of the brand. The visual language of the collection reflects a fascination for the free spirit of individualists from all over the world. Good Morning Cologne is stylish, but far from being trend oriented. The label creates timeless, artistically designed pieces of lover, as a means of creative self-expression. The carefully hand-printed statements, high-quality fabrics and modern cuts are the foundation of every collection. Boundless realness behind each piece stands for authenticity and community. Everyone speaks the same language. Good Morning Cologne is "Made For You".